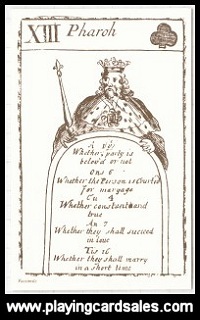 Facsimile of a fortune-telling pack first published in 1714. Cards numbered I to XIII in the usual four suits. 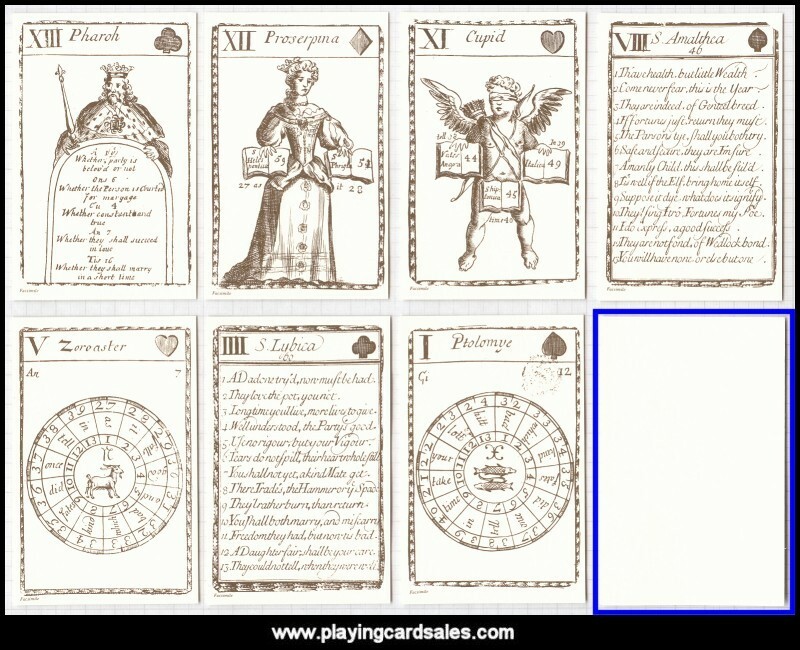 In addition, the cards bear figures and diagrams which can be used to tell fortunes. Uncoloured. Square corners, blank backs. Not plastic coated.